They proved it throughout their Scappoose careers and Jerad Toman and J.C. Gross proved it once again over the weekend of June 16-17 — they're winners. 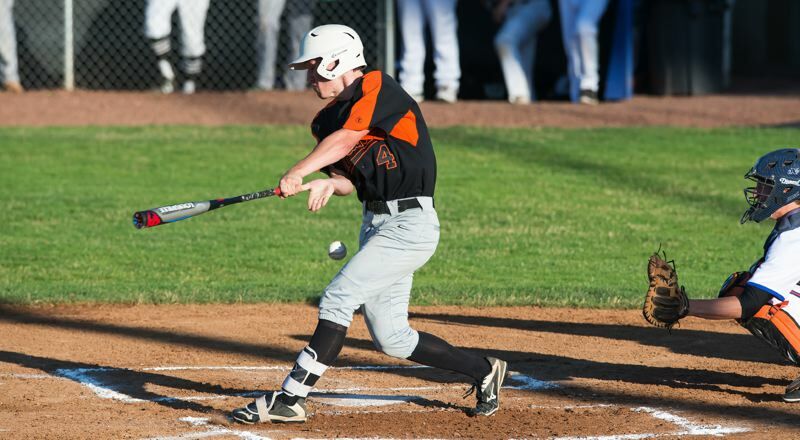 Gross and Toman, both graduated seniors who recently completed their final seasons in the Indians' black and orange, helped lead the North team to a three-game sweep of the South in the annual Class 4A All-Star Baseball Series in Roseburg. Gross, an infielder and pitcher, and Toman, an outfielder, made sure they finished their high school careers on a high note, helping the North win the series' Saturday opener 16-6 in eight innings at Bill Gray Stadium at Legion Field. Then, Toman, Gross and the rest of their North teammates came back strong in the series' Sunday doubleheader, beating the South 11-7 in game two and 16-3 in the series finale. "I feel very honored," said Toman, who will play football next year at Portland State University. "Not a lot of kids get this opportunity and I'm just thankful that I was one of the kids to play in the series." 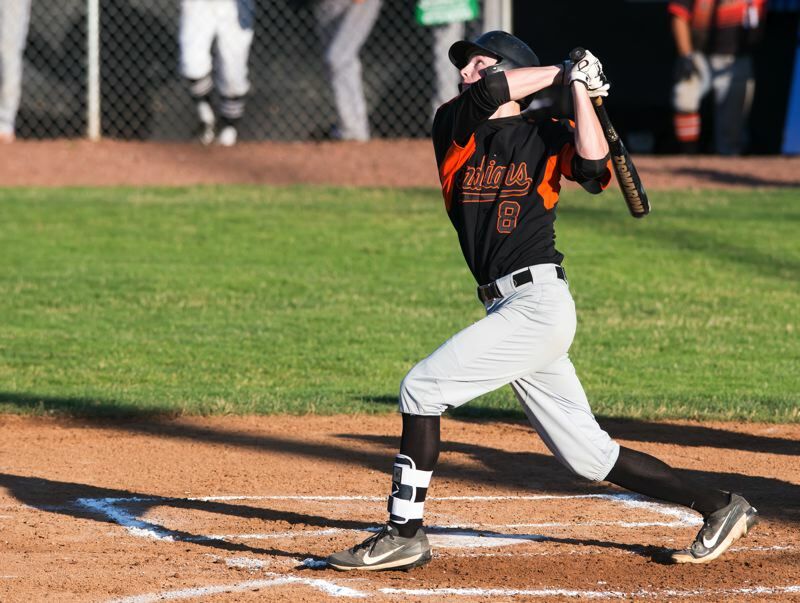 "I was pretty excited to have been selected because of all the hard work I had put in … trying to give myself the best opportunity to have a successful senior year," said Gross, who's headed to George Fox University in the fall and intends to play baseball there. "(Then, I) got even more excited when I figured out Jared was selected as well. We became close over baseball season and having one last hurrah playing with him I knew was going to be a special opportunity." In the North's series-opening win, the North posted two seven-run innings, knocked South starter Cody DuBray of La Grande out in the first inning and never looked back. Toman, who played left field in Game One, went 1 for 3 with a walk and a single up the middle. Gross, meanwhile, played designated hitter and went 0 for 3 with one RBI. The South also suffered from a sub-par defensive performance that saw the team commit seven errors. For the North, Ben McCoy of Gladstone was the winning pitcher, while Andy Schmitz of North Marion went 3 for 4, knocked in two runs and scored three times. The North kept the hammer down in its 11-7 win in Game Two, and Gross and Toman played important roles yet again. Gross played second base for four innings and handled two line drives, went 0 for 2 at the plate with a walk, then closed out the game as a relief pitcher in the seventh inning, allowing one run and striking out one. Toman went 1 for 3 at the plate, knocked in one run and handled three chances in right field without an error, including one ball that took him back to the stadium wall. Toman, Gross and the North then capped their sweep with a 16-3 rout in the final contest of the series. Toman had his best game in his last game, going 3 for 4 (all three were gapped singles) at the plate with two RBIs, and making three catches in right, including a running grab that prevented an extra-base hit. "I feel that I played as best as I could for how much I played," he said. "There were a lot of kids on our team so I feel I did pretty good." Likewise, Gross saved his best for last, playing errorless ball at shortstop over the game's last three innings, and going 1 for 2 at the plate with a double over the South left fielder's head, a deep fly out to right-center and one RBI. "I was pretty disappointed with my hitting overall, (but) there was some great pitching from the South team, which was expected," he said. "Also, when everything started to click for me hitting, it was my last two at bats of the series so a little late. (But I'm) gonna remember how nice it felt finally getting a hit after going the whole series without one." Despite his relative struggles at the plate, Gross knew he had contributed to the North's success. "Defensively, I felt great," Gross said. "I just played with a lot of confidence and kept it loose and had no errors which is always a plus." Beyond the fun of sweeping the Series with their North teammates, Gross and Toman both said that one of the highlights of the experience was playing with fellow Cowapa League stars. "The best part definitely was getting to play with all the Cowapa League guys," Toman said. "Instead of playing against them, I had a chance to play with them which was cool to me." "The best part of the series was finally getting to play with some Cowapa guys," Gross agreed. "You spend four years playing against these guys so it was nice to be on the same side, sitting back reminiscing about close games and funny moments. … (It was) just overall a great time with them." Schmitz was named the tournament's Most Valuable Player, Gladstone's Derek Lee was the North team MVP, South Umpqua's Johnathan Warner was selected as South MVP, Gladstone's Damian Alvarado was picked as Most Inspirational for the North, and Jaace Cross of Cottage Grove was named Most Inspirational for the South.